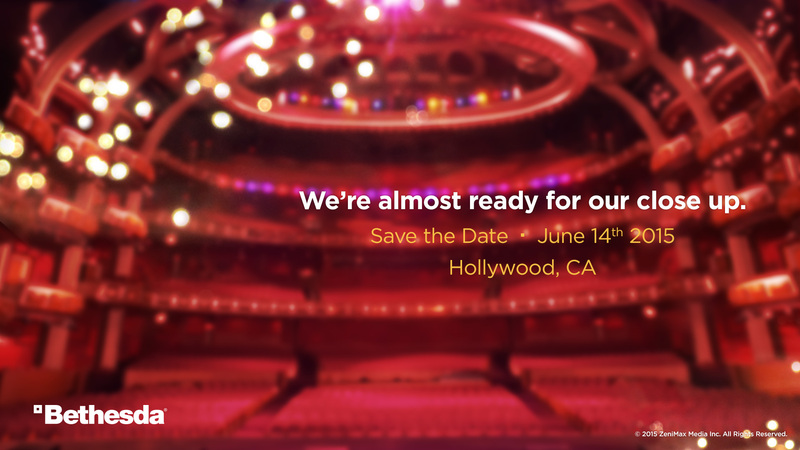 Yesterday Bethesda officially confirmed that they will be hosting there first ever conference at this years E3 in June. And if you can’t or won’t be attending E3, then you can also watch the event live on Twitch. Can’t make it out to LA to join us? Don’t worry, we have you covered. On Twitch.TV/Bethesda, you’ll be able to tune in on 6/14 and watch every moment live! And so the E3 hype begins. What can we expect from Bethesda? A new Fallout game would be the most obvious choice. But they could surprise with a brand new Elder Scrolls, but with ESO only recently coming along, this seems unlikely. Or maybe it will be another Evil Within? Or Doom? What about all of them? Well that’s it I can’t contain myself. Personally, I’d love to see a new Fallout game. Fallout 3 and New Vegas were awesome games, and I’d love to see an open world RPG game like that on the new consoles.